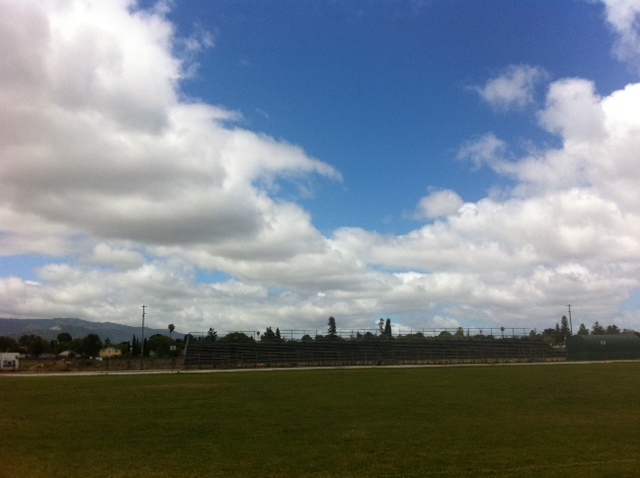 Day 55 – I Love Sunnyvale! For so many years I longed to move home – to Thousand Oaks, where I grew up and where my extended family lives. And then finally in 2002 I realized, home was no longer in Thousand Oaks and I needed to accept that we weren’t moving and that Sunnyvale was my home. It’s now 2012 – and Sunnyvale is our home. We have roots here and family we created for ourselves. When my T.O. family comes to visit, we are blended with my Sunnyvale family. My friends and family in Sunnyvale all know my family from T.O. and we share dinners and celebrations and vacations together. My community is here – it’s where we hang out – from visiting with families and friends at our close-knit elementary school – Ponderosa, to hanging out at the baseball and soccer fields with families and friends from our team and teams from the past, to our church family, and PEO family, and tennis and Kona Kai friends, and neighbors, and Las Madres and Bunco/ Carmel moms, Mandarin speaking friends, and PELC preschool friends. It’s home now – we have roots here and depth and relationships that have grown over the years of being together. I love Sunnyvale. Today was a day filled with celebrations. 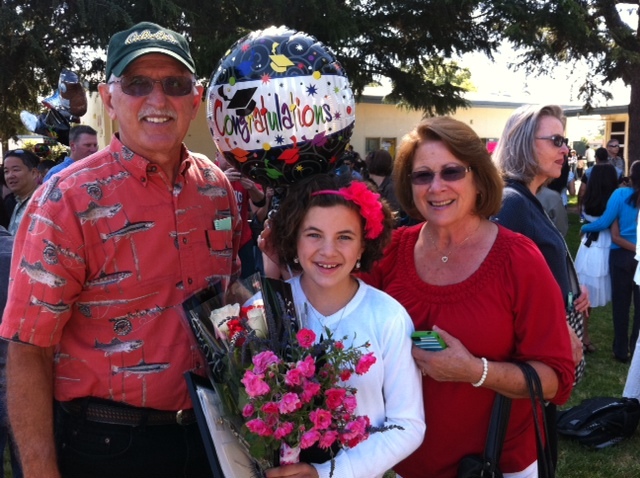 My parents were here to celebrate J’s graduation from elementary school. April was there too. 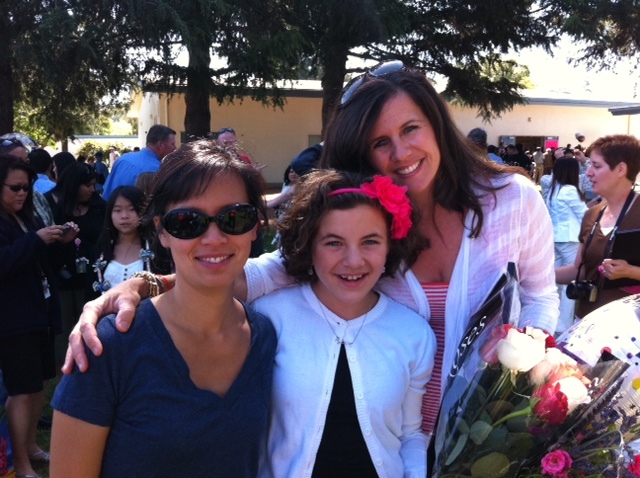 We shared in her special day and were proud of not only her but her classmates and their families. Most of us have been together since Kindergarten and I felt pride seeing all these kids grow up together. We took pictures of J with her friend from PELC who used to carpool together and now they are off to middle school. I wonder if they’ll still be friends and together in high school when we come back. 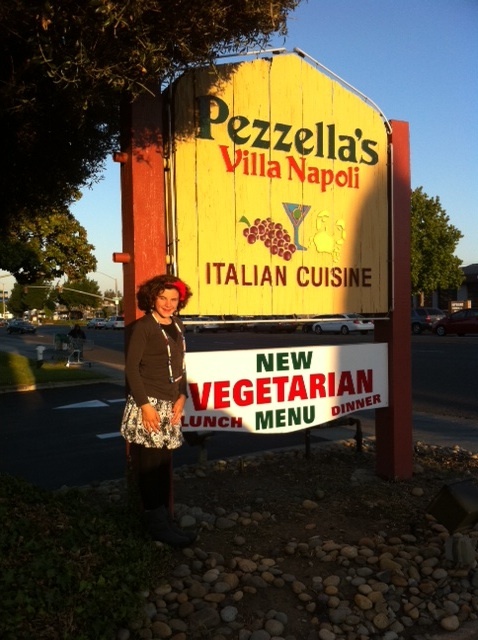 Pezzella’s is a family run, Italian restaurant in Sunnyvale. We met the family at PELC many years ago and this is J’s favorite restaurant. 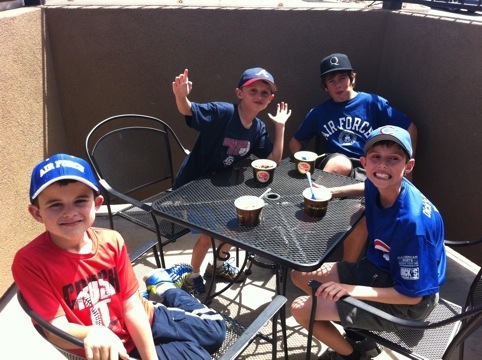 Baseball friends – the best part of watching the game!! Did you know that Sunnyvale and Thousand Oaks are two of the top 10 cities in the Nation to raise your kids? How cool is that? 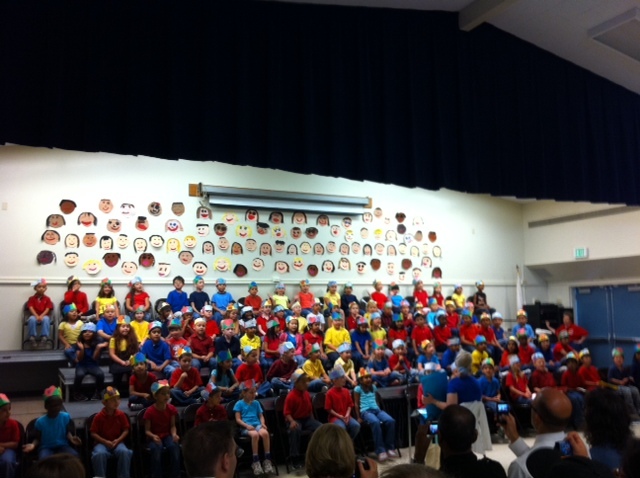 “One Kindergarten concert. One pot of Thai curry cooking on the stove. One set of parents coming to town for One special promotion ceremony tomorrow for One lucky girl. One exhausted husband flying home late tonight. One busy day. One good life.” – My Facebook Status today says it all. Day 57 – Really Relocating?!? 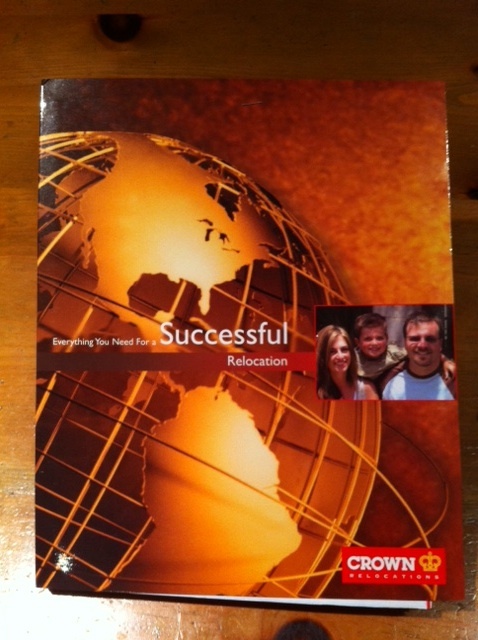 Oh what a journey — if only all the answers could be found in a nice little glossy covered pamphlet! Today I had someone come to our house to conduct a survey of our belongings to help us with the relocation. For some reason, this really bothered me. We walked through the house, trying to identify what we’d like to move and how much of it we’d like to move. This would seem like a simple task, but it felt really strange and I’ll explain why. 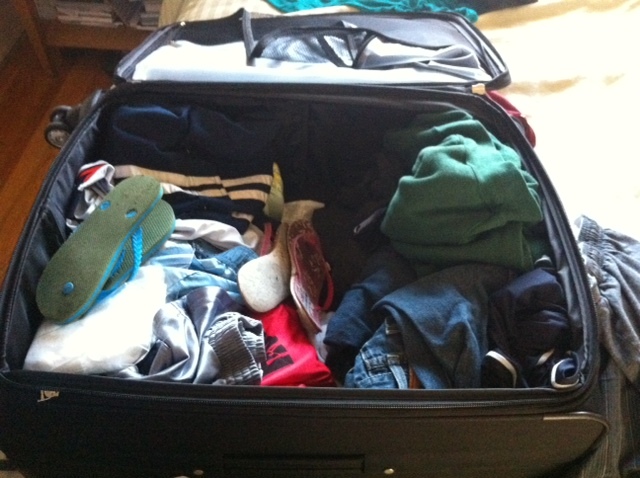 We’ve agreed to go for one year – since we’re planning to go for one year, we don’t need to bring all our stuff with us. We’re keeping our house as is – meaning we’re not planning on taking our furniture or beds but mainly our clothes and our shoes, and our comfort items – oh yeah, and the mini van! We’re not taking all of our personal belongings – and when we walked by my treasured family canvases that are in the main living areas of our house – it felt weird to think of leaving them and felt weird to think of taking them. So I felt this kind of limbo feeling. So there was all this yin and yang stuff pulling at me today. I felt a sense of freedom from my stuff and a sense of loss from leaving my stuff. I felt for my sisters who have gone through life changes and had to let go of their stuff – does it feel liberating to not have your stuff? Do you miss your stuff? After all, it’s just stuff – but that stuff provides a sense of comfort and attachment – and freedom and loss. So weird!! Can you relate? It’ll all work itself out – just feels a little weird today. Tomorrow I’ll be excited again to start cleaning out my stuff and keep to my minimalist plan. If you have any advice or have been there, done that, I’d love to hear what you have learned along the way. Namaste. 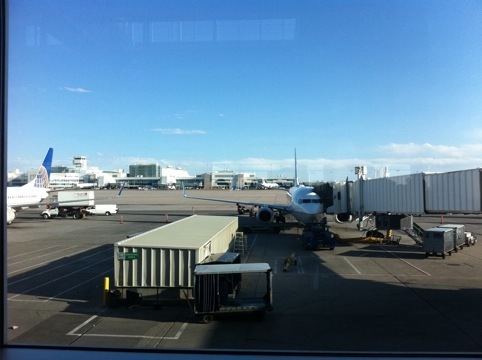 We have been at Denver International Airport for several hours now and are finally getting ready to go home. We had a great visit, enjoying our family and friends and celebrating Memorial Day together. PopPop graduated from West Point in 1943 and shared many stories with us. We are very proud of him and MamMam. At DIA, the kids passed the time shopping at the toy store and sampling food at Jamba Juice, Pizza Hut, and Itza Bowl, Itza Wrap. Enjoying food was definitely a theme for the weekend! Day 59: Wishing Flowers and Alpacas? We’re in Colorado this weekend and our only plan was to spend time with Jeff’s grandparents and his Aunt Debbie and Ken. It’s kind of nice to not have any expectations except to be with family. Seriously. So simple and easy and we are thankful they want to spend time with us. 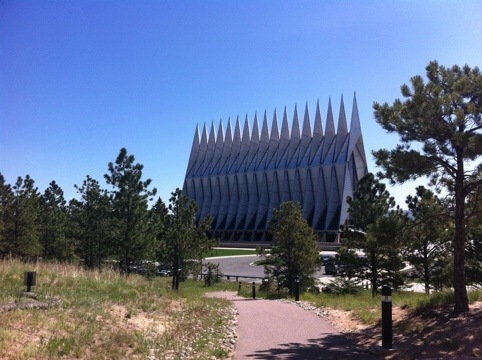 We had breakfast at the hotel and then went over to the Air Force Academy to see the visitors center and chapel again. I love the open space surrounded by the mountains. It brought back memories of Nate’s graduation 14 years ago! The chapel was stunning. After the AF visit, we had lunch at Freddy’s Custard and Steakburgers. That place was so delicious. Custard is like a creamier and richer ice cream with a yogurt like texture. Yum! We met up with our Sunnyvale friends – the Myles family, who moved to the Springs a few years ago. The boys had fun hanging out and swimming together. We had a great dinner together and talked about the infamous haunted house next door. Oooohhh… We got out the ghost radar app and tried to see how close the ghosts were! WTH?? Should make for great bed time stories tonight. Are you wondering about this face? 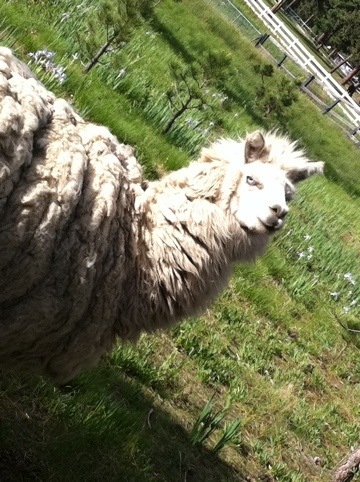 Ken has two alpacas on his property and I tried to feed and pet one. I was fascinated by them even being there on the property. 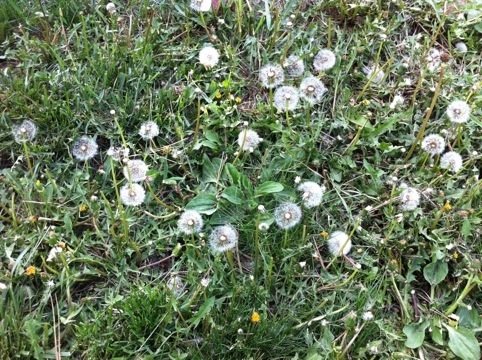 J and I had fun picking flowers and wishing on the wishing flowers. I wonder what she wished for? We were up at 4:15 am to catch a 7 am flight this morning. The kids were dressed and ready before us. They each had their own backpacks loaded with electronic devices, books, paper and pens, gum and crackers. 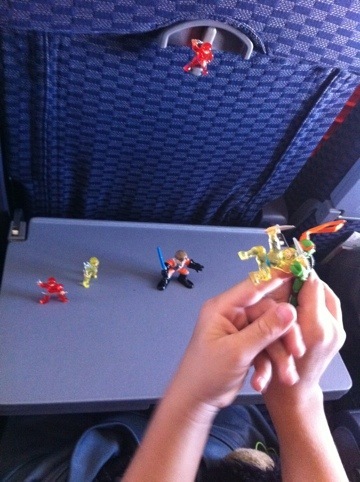 They are so easy to travel with now that they’re older. 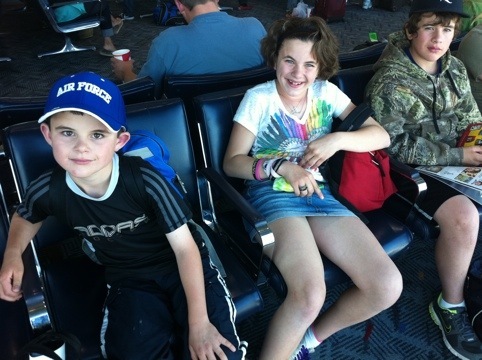 We are in Colorado Springs to visit the kids great grandparents, and Aunt Debbie. It’s always so nice to visit them, especially on Memorial Day weekend. Jeff’s grandpa also went to West Point and served in WW2. They have so many stories to share that we appreciate and value. 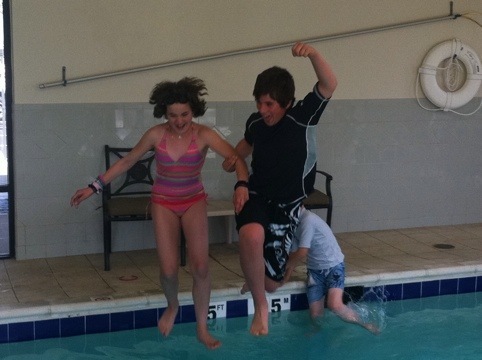 A favorite activity wherever we travel is the swimming pool, much to Jeff’s chagrin! I totally get it and love how much fun they have together. Hope you enjoy the long weekend! 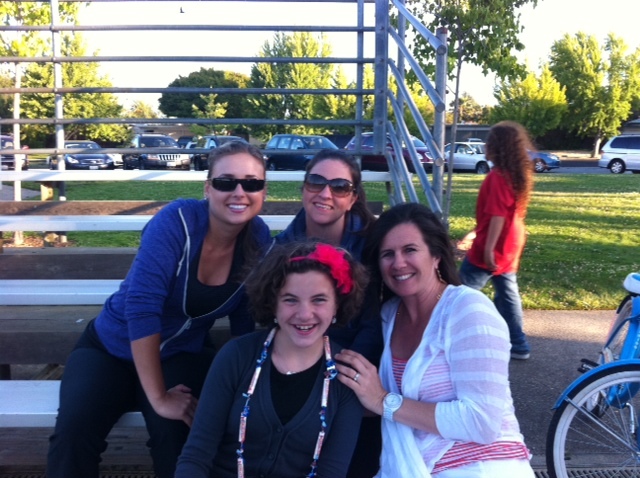 Today was another busy day – the end of the school year is wrapping up with lots of festivities. 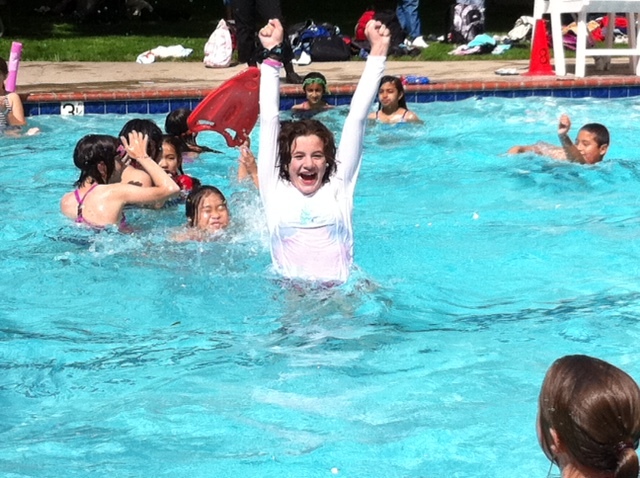 J had a 5th grade pool party at Laurelwood Cabana Club. It was so cold and windy, I couldn’t believe the kids were in the pool. The chaperones were hanging out with our hoodies and hoping for sunshine to break through the clouds and wind! The kids didn’t seem to notice too much and enjoyed playing and swimming, snacks and pizza. After freezing on the pool deck, I went over to help out at the Peterson Middle School Recreation Day. 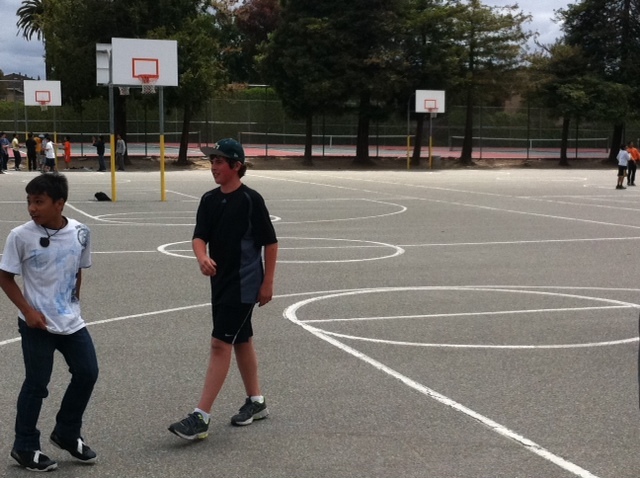 I found C playing basketball with friends and supervised the Aquathon – a mini bi-athalon with swimming and running. It was a gorgeous yet cool day up on the track. It was cool to be on campus and witnessing Junior High in action. This is CJ’s favorite lunch time activity – today he got to play for 2 1/2 hours. He should sleep well tonight. Check out the beautiful cloudscape – so pretty, right? Tomorrow we are leaving for Colorado to visit Jeff’s grandparents. 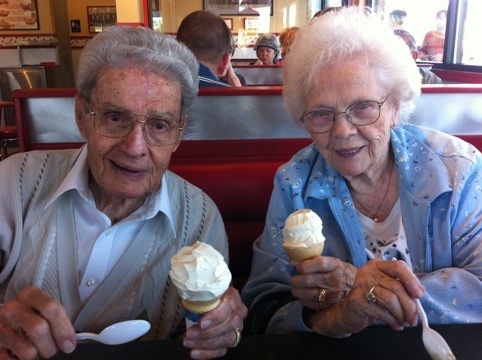 They are 88 and 92 years old. How cool is that? They are so wonderful and we are looking forward to visiting with them before we move to the Netherlands. There are so many people we want to visit before we move. Jeff is also planning on visiting his dad in Chicago. We have a trip planned to Thousand Oaks for a wedding and to be with family and a trip to Hawaii too. I’m hoping to see my BFFs too – you know who you are! Are you coming to see me or do I have to come see you?? As for places we want to go or see before we move – not that many, actually. I’d like to take my paddle board up the Elkhorn Slough and along the Santa Cruz coastline again. I’d like to eat crab at Than Longh in San Francisco, and I’ve never been to The Counter on Santana Row for burgers. That’s about it. Kinda a short list, wouldn’t you say? Time to go finish packing – hope you enjoy Memorial Day weekend and kiss a veteran!! Our freedom isn’t free.